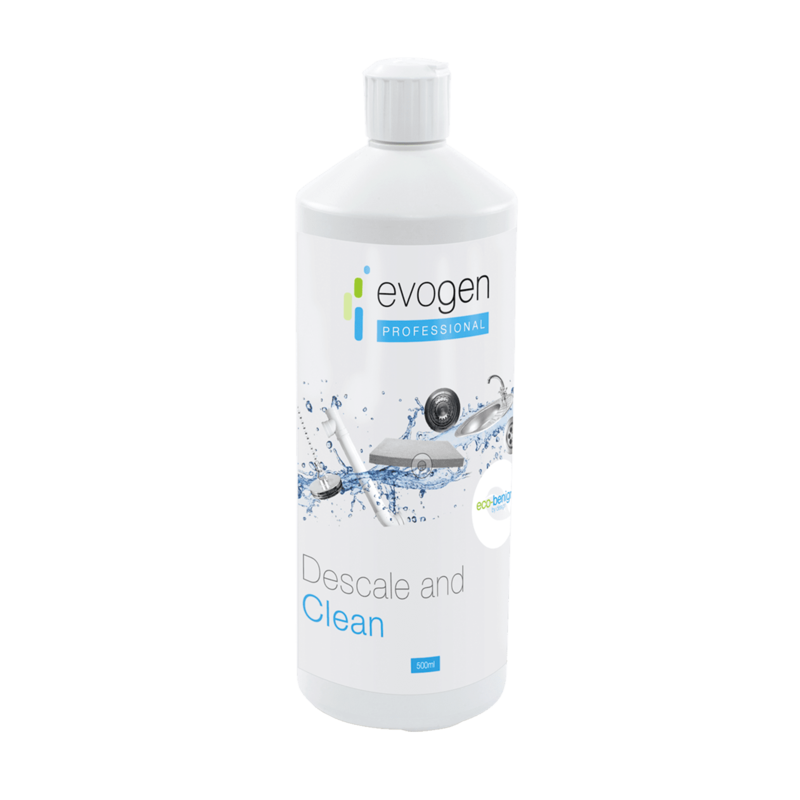 Evogen Professional Descale and Clean is an eco-benign®, fully biodegradable, organic acid-based, safe but highly effective commercial rust cleaner & professional descaler, for the removal of limescale and other scales in a variety of applications. 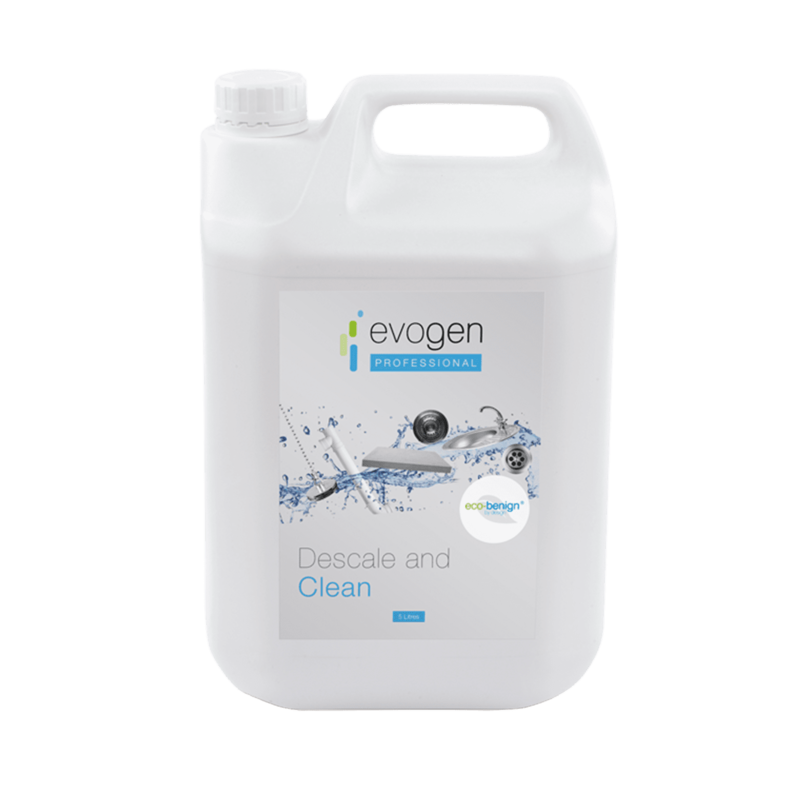 Evogen Professional Descale and Clean is in 500ml bottles, and 5 litre jerry cans for larger cleaning applications. Our commercial rust cleaner & professional descaler is based on an organic acid found naturally in fruit. 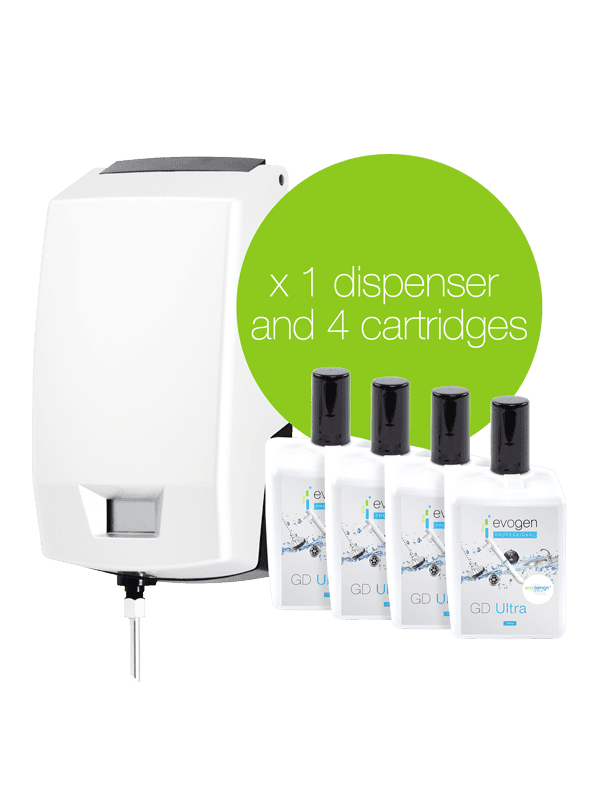 It replaces traditional mineral and other organic acids in scale removal applications, but it is not classified as corrosive or irritant, so it is very safe to use. 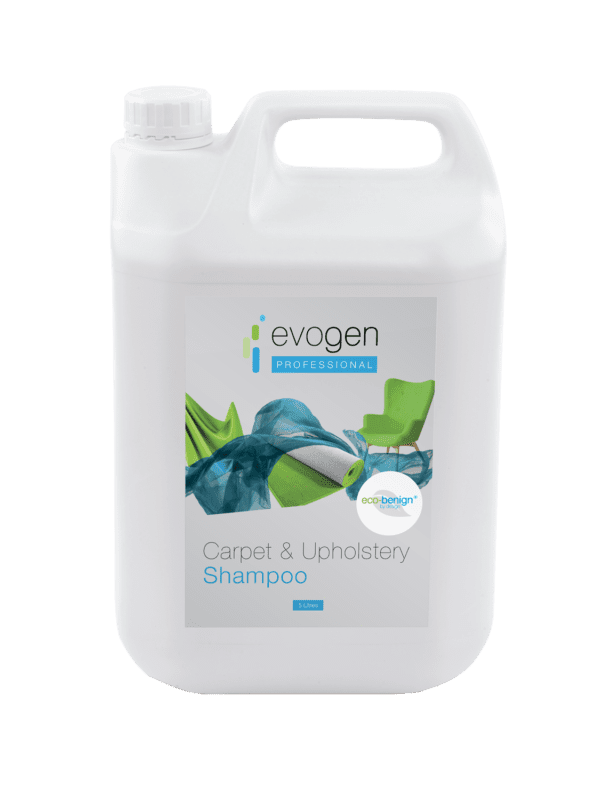 The Evogen Professional formula is not classified as hazardous, needs no labelling and is much safer to use but will still give effective scale removal and it is also chlorine and phosphate free. It is broadly equivalent activity-wise to products based on sulphamic acid but has no environmental concerns. 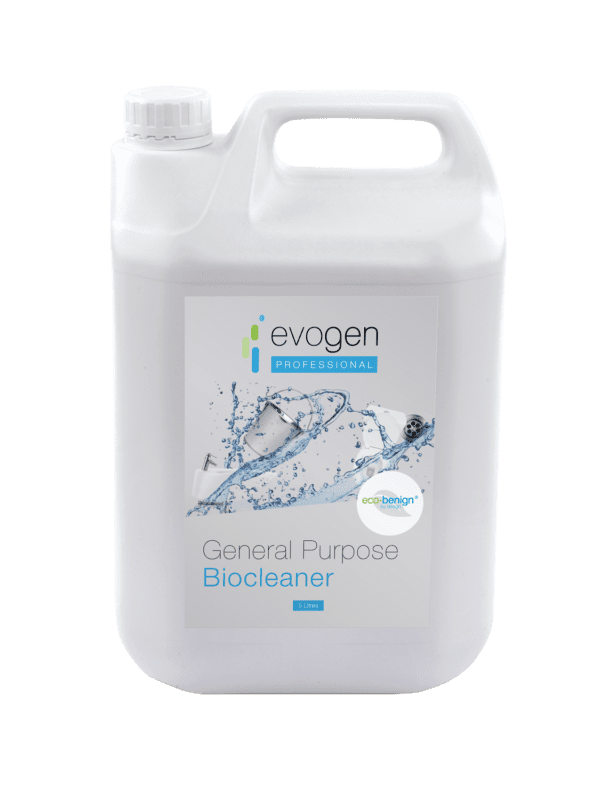 In terms of effects on the environment, the Evogen Professional Descale and Clean raw material is found extensively in nature, is highly biodegradable and has very low toxicity in the environment. Evogen Professional Descale and Clean contains added surfactants to further boost performance, which also means that a separate degreaser is not required if scale is contaminated with oil and grease. For cleaning and scale removal, as a guideline, we recommend application of the product neat or diluted 1:1 with water and soaking for 30 minutes. If significant scale remains, replace the solution with fresh product and leave for a further 30 minutes. Rinse to remove all traces of product. For descaling of kettles, quarter fill the kettle with water and boil it, then add the same amount of descale cleaner. Wait for about half an hour, re-boil the mixture then leave for another 30 minutes if visible scale still remains. Pour the mix away, rinse thoroughly and refill with fresh water, reboil and discard. The kettle is then ready for use. Do not allow the concentrated product to sit for any length of time on the decorative surface of metals as some discoloration may occur. Scale is a deposit of insoluble metal salts that can form a hard, insoluble layer on surfaces, and is a particular problem in hard water areas.